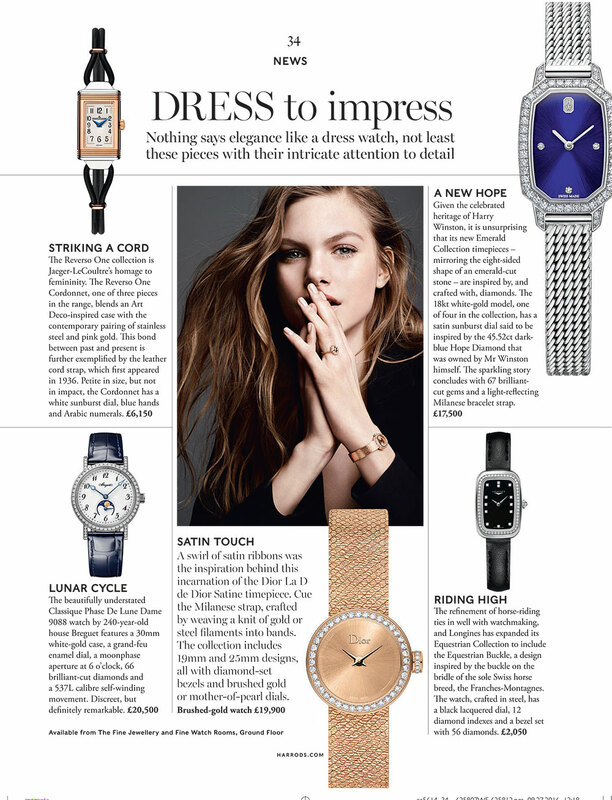 To collate two news pages focused on luxury watch trends and a heritage-focused article for the November 2016 issue of ‘Watches & Fine Jewellery’ – a magazine created by London-based department store, Harrods. 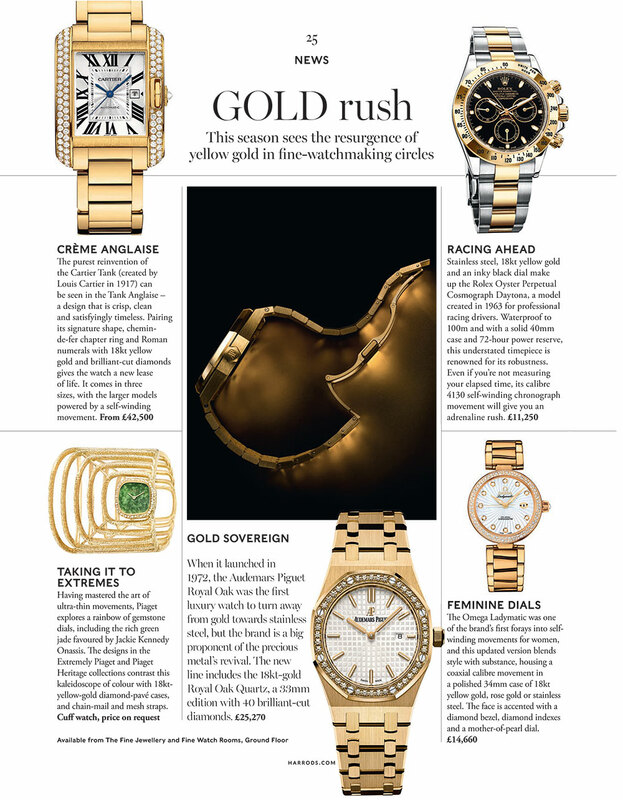 Editorial features must align seamlessly with Harrods’ tone of voice and brand language, while also meeting length and deadline requirements. 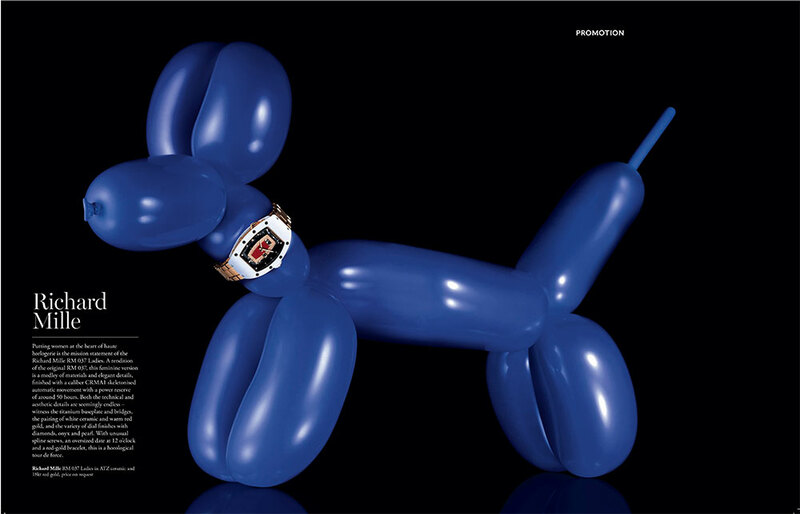 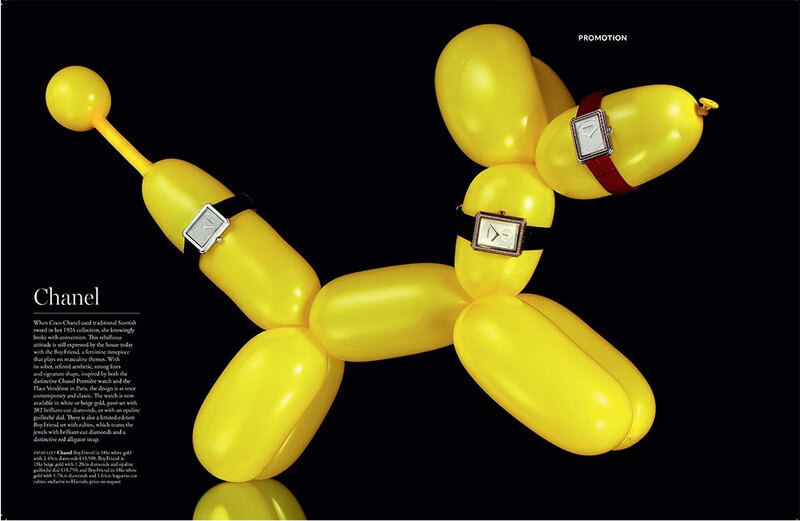 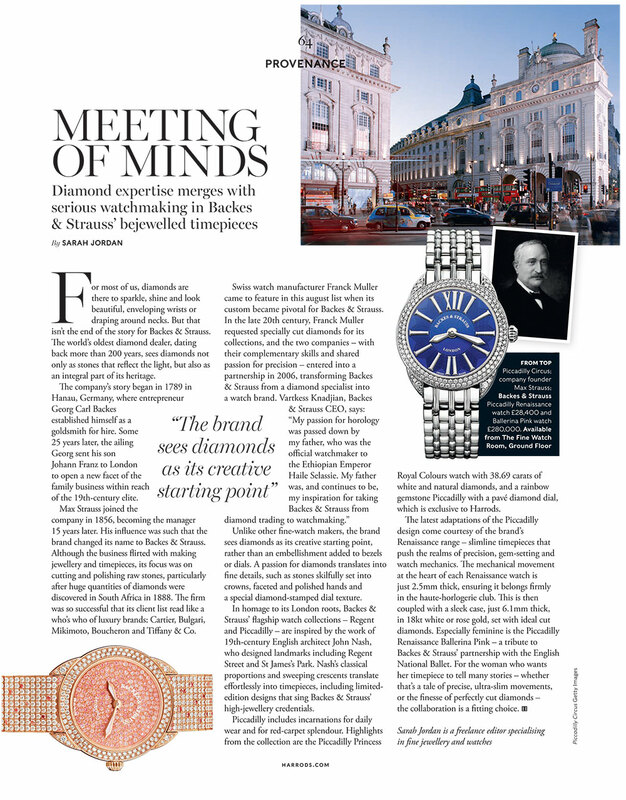 The William Agency was commissioned to create three pages worth of content for Harrods Watches & Fine Jewellery magazine, including two news articles and one heritage feature. 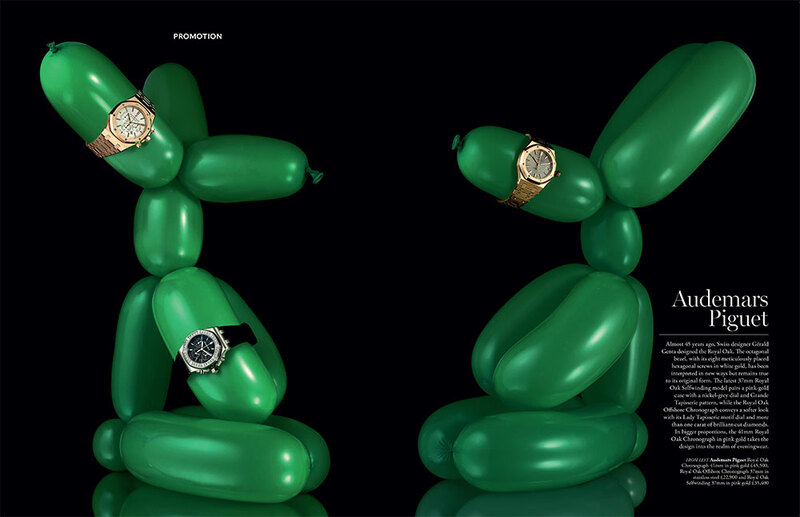 The latter required liaising with London-based luxury watch brand, Backes & Strauss, to delve into the company’s history, brand values and product offering.